We do it again! In September 2018 Estonia-Russia Cross Border Cooperation Programme celebrates the European Cooperation Day with three different events in Estonia and Russia. Join us and be part of it! “Painting our future together” is the slogan of 7th edition of the European Cooperation Day and will be celebrated with various activities by Estonia-Russia CBC Programme. We welcome you on Saturday, 15 September in Alatskivi, Peipsiääre Municipality, Estonia from 10.00 till 17.00 in Cooperation and Art Buffet which will be operated by Estonia-Russia Programme and our partners! In parallel the workshops in Alatskivi Nature Centre offers activity and bustle for younger family members for crafts and introduces the biota of the largest transboundary lake in Europe – Lake Peipus and possibility to express your thoughts by drawing on the theme “Let’s paint our future together”. The day also includes musical interludes. 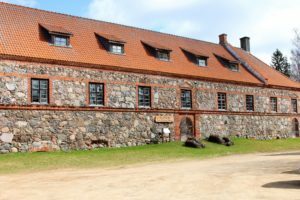 Event is organised in cooperation with Peipsiääre Municipality and Alatskivi Nature Centre. 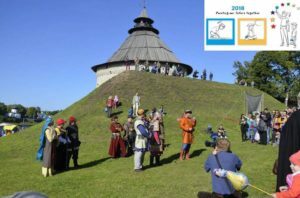 In continuation of the started celebrations in Estonia, Russia will take initiatives over and on Saturday 22 September in Pskov, Russia we invite you to participate in “Voivode Shuisky” Festival near Pokrovskaya tower starting from 12.00 till 17.00. Joint cooking will gather high officials, representatives from Estonia and Russia to show cooperation of border regions. Local Pskov and Seto folk groups will present cultural song heritage during the event. The agenda will also include painting of future on a canvas and coinage of coins. Besides the Festival “CBC Cultural Brunch” with the focus on cultural heritage is planned. In the last week of September we will be happy to see you in Gatchina Palace, Leningrad region, Russia, from 11.00 till 17.00 at the Cross-Border Cooperation – Meeting point of Cultures (“Bridging Cultures”)! The agenda of the event will introduce participants to the rich common heritage of four bordering countries, including folklore, paintings, crafts, music and national cuisine. 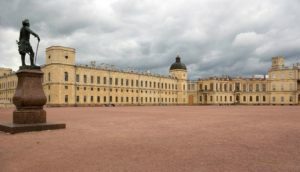 Crafting master classes, sketching competition for young artists in Gatchina Park and introduction to the art collection of the Gatchina palace will take place. Activity is organized in cooperation of three cross-border cooperation Programmes: Estonia-Russia, Latvia-Russia and South-East Finland-Russia with the support of St. Petersburg and Leningrad region Administrations and involvement of Gatchina children art school aiming to demonstrate the importance of cross-border cooperation for the saving of the common cultural heritage. ‘Sharing borders, growing closer’ is the motto of the European Cooperation Day for celebration of the spirit of cooperation throughout Europe and beyond its borders.